For the front wheels provides a 1.6-liter turbocharged engine with a 48-volt starter generator, and for the rear - an electric motor. In Autocar write that the internal combustion engine will make power within 200 "horses". Additional 100 hp will provide a rear electric motor. CAT - 8-band "automatic". 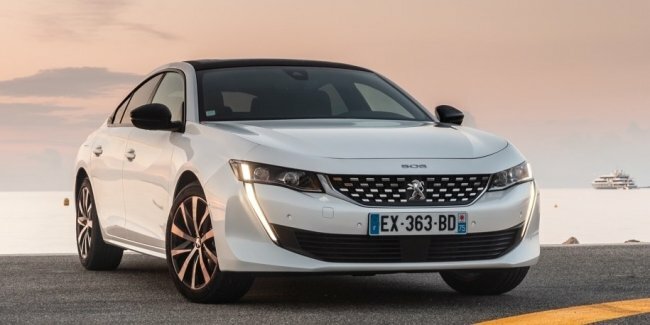 One electric traction will allow the Peugeot 508 PHEV to pass a maximum of 50 km. Batteries appeared under the trunk, in the floor. Peugeot says that this arrangement corresponds to the convenience of the EMP2 platform, without reducing the volume of the trunk.